The Carl Stahl Direct catalogue has been a key reference work in the field of rope and lifting technology for decades. The 2017 version of the catalogue has now been published. A total of 728 pages offer readers the sector’s most comprehensive range of products for safely and securely transporting and handling goods. The Carl Stahl Group has always worked in line with the highest safety standards and supplies premium-quality products from leading manufacturers worldwide. As a leading international provider, we make sure that we provide our customers with the perfect solution for their job with regard to safety, ergonomics and efficiency. Highly trained and committed employees are constantly available to offer both telephone and on-site assistance. Many of the products can be delivered from stock within 48 hours. The decentralised structure with 23 sites in Germany enables us to reach our customers quickly and easily at all times, wherever they are located. The catalogue’s extensive product range is furthermore supplemented by a broad range of services. These include the intelligent ‘integrated services’ process as well as professional training courses from the Carl Stahl Academy and our repair services. Furthermore, some of the products are available from the Carl Stahl online shop 24/7. 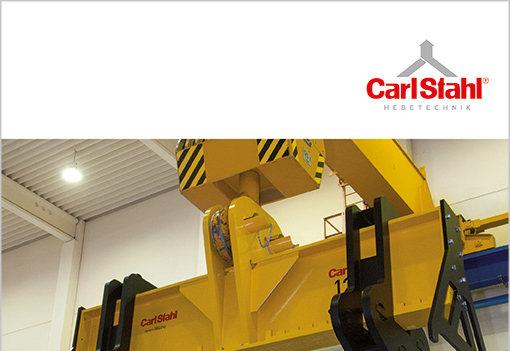 Of course, the new Carl Stahl Direct 2017 catalogue can naturally be downloaded or ordered free of charge at www.carlstahl-lifting.com – directly and with no hassle. Specialist catalogue 2017 for fall protection systems and personal protective equipment for the prevention of falls. Carl Stahl Hebetechnik GmbH has published its specialist catalogue 2017 "Fall protection systems and personal protective equipment for the prevention of falls" in a new and expanded version. In the age of Industry 4.0, man and machines work together with utmost efficiency in intelligent and flexible production facilities. Despite this, industrial workplaces still have areas that people could potentially fall from. For years, the Carl Stahl Group has focussed on tasks within the field of occupational safety, especially in the area of fall protection systems and personal protective equipment for the prevention of falls. For 2017, our extensive specialist catalogue provides valuable advice on the complexity of this topic and a comprehensive range of product and services. The product range includes many prestigious brands, including beyond those shown specialist catalogue, and is the largest on the European market. The portfolio ranges from simple and comfortable fall arrest harnesses, seat harnesses and waistbelts to retractable type fall arresters, all varieties of this kind of equipment for industrial areas, especially work in confined spaces, and collective protection solutions like aluminium railing systems in the parapet wall area on flat roofs, including escape and maintenance routes on industrial flat roofs. Thanks to its global sites, the Carl Stahl Group is also able to plan and implement international projects. The on-site situation and customer requirements are always carefully considered when selecting an appropriate product brand. In addition to the product range, the Carl Stahl Academy also offers comprehensive, practice-oriented specialist courses such as "Qualified inspector for personal protective equipment for the prevention of falls" pursuant to DGUV principle 312-906 on an annual basis. 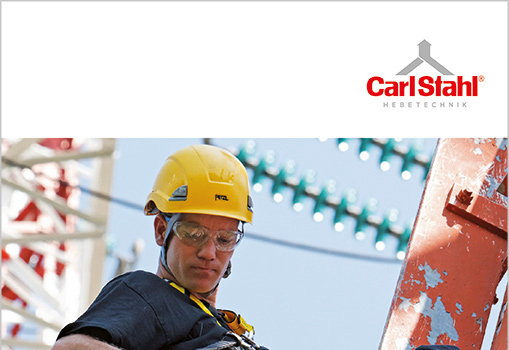 The catalogue can be downloaded from our website www.carlstahl-fallprotection.com. Carl Stahl’s Tina Lehnigk is the national champion. Within the scope of the European Vocational Skills Week, which the EU Commission this year used to highlight the major importance of vocational training, awards were presented to the best apprentices of skilled crafts in Germany at a ceremony held in Münster on 10 December 2016. Tina Lehnigk from Carl Stahl Süd GmbH’s Munich site was named national champion in the vocational profession of rope-making. EU Commissioner Marianne Thyssen congratulated the winners of the ‘Leistungswettbewerb des Deutschen Handwerks (PLW – Profis leisten was)’ (‘National skilled crafts championships (pros at work)’) by video message. 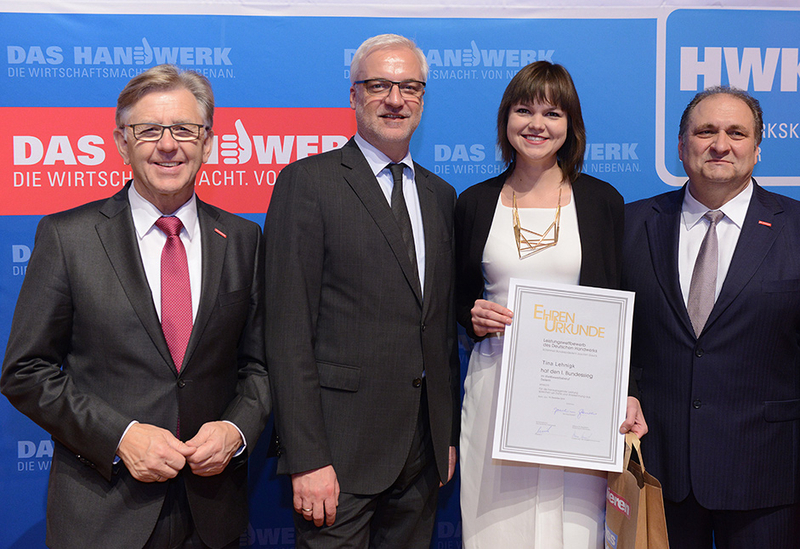 Garrelt Duin, State Minister for Economic Affairs of North Rhine-Westphalia, presented the winner’s certificate to the first-place national champion together with ZDH Chairman Hans Peter Wollseifer and Chairman of the Münster Chamber of Industry and Commerce Hans Hund. The certificate is signed by German President Joachim Gauck, patron of the annual competition. An award was also presented to the winner of the design contest ‘Die gute Form im Handwerk – Handwerker gestalten’ (‘Excellence in craftsmanship – artisans design’). Some 3,000 recently examined apprentices took part in the national qualifiers at up to three levels (guilds, chambers of industry and commerce and trade associations). 816 contenders then competed at national level. With females accounting for some 35 percent of the national winners, it is clear that a growing number of women are looking for and finding their future in skilled crafts. In 125 competition professions (including specialist disciplines), the top three accolades were awarded to 266 competitors, with 117 first-place national champions, 88 second-place national champions and 61 third-place national champions. With 38 of the 117 first-place national champions, Bavaria is the most successful state this year, followed by Baden-Württemberg with 24. The 65th ‘Leistungswettbewerb des Deutschen Handwerks (PLW – Profis leisten was)’ and the competition ‘Die gute Form im Handwerk – Handwerker gestalten’ were this year organised by the Münster Chamber of Industry and Commerce. The competition sponsors, the Zentralverband des Deutschen Handwerks (German Confederation of Skilled Crafts – ZDH) and the Stiftung für Begabtenförderung im Handwerk (Foundation for Talent Promotion in Skilled Crafts – SBB), were supported in the execution by the Federal Ministry for Economic Affairs and Energy (BMWi). 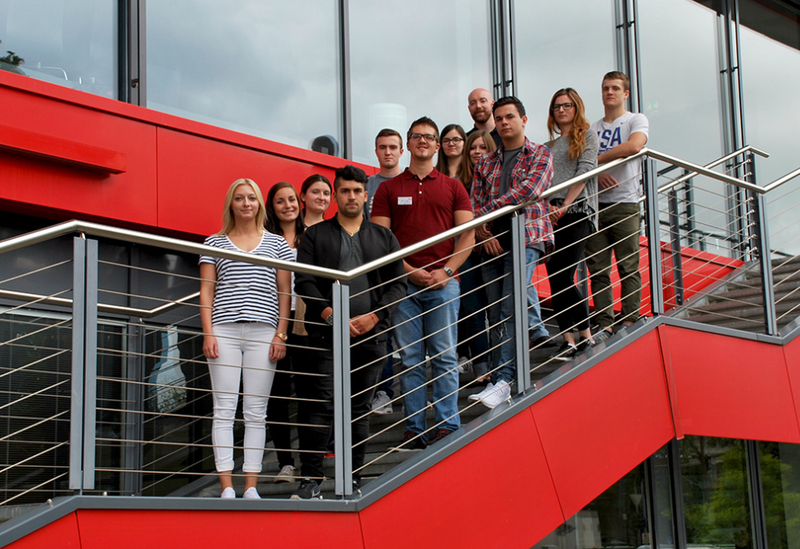 "Die gute Form im Handwerk – Handwerker gestalten" competition This year’s ‘Die gute Form’ competition was held in 32 professions. The national competition aimed to sustainably promote creative design and aesthetics even during training. It highlighted the great importance of form and design in various skilled trades – especially for young people who can develop in these with a great deal of creativity. In the first three winners’ categories, 25 people were named first-place award winners, 14 second-place award winners and 10 third-place award winners. 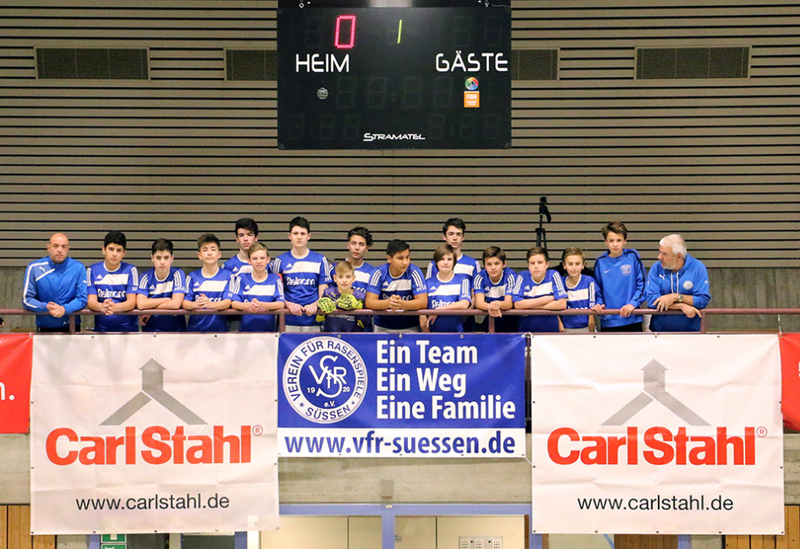 On Saturday, December 3, 2016, this year's Carl Stahl U14 Indoor Junior Cup took place in the Ankenhalle in Kuchen. On Wednesday, June 29, 2016, the activity day took place again on the factory premises of the Carl Stahl location in Munich. 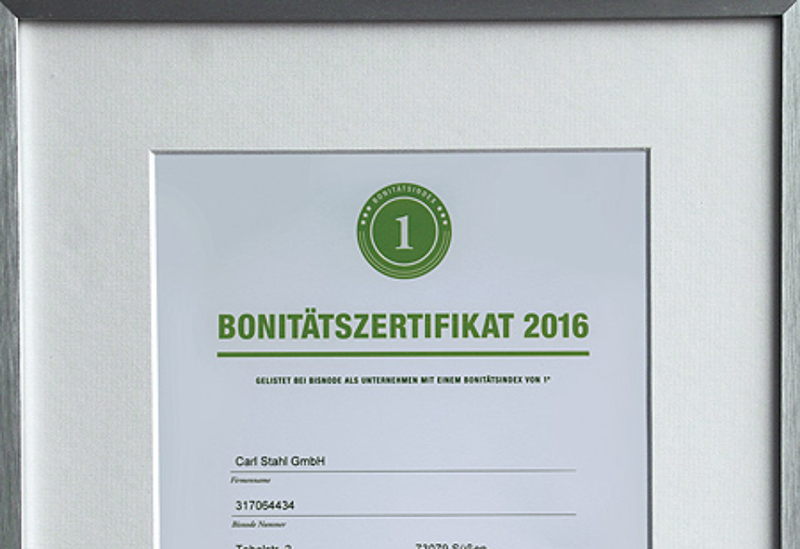 After 2014 and 2015, Carl Stahl GmbH has received the coveted Bisnode credit rating certificate for the third year in a row.